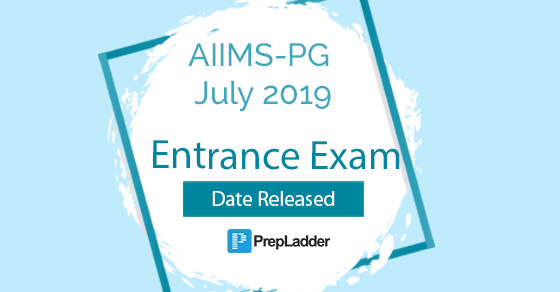 All India Institute of Medical Sciences, New Delhi invites online applications for Entrance Examinations leading to admission in Post Graduate (MD/MS/M.Ch (6 years)/ DM (6 years) courses of AIIMS, New Delhi and six other AIIMS (Bhopal, Bhubaneshwar, Jodhpur, Patna, Raipur & Rishikesh) for July 2019 session. We have come forward with this blog to enlighten you with the important dates for various PG courses so that you don’t miss upon anything. These dates are for admission to AIIMS PG (MD/MS/M.Ch (6 years)/ DM (6 years) curses for July 2019 session. Final Registration for completion of other details: Qualification, City Choices, Payment. Please Note: For Prospectus, detailed information etc. please visit the website www.aiimsexams.org. All applicants are required to visit the website regularly since all the subsequent Corrigendum/ Addendum/Updates will only be uploaded on the website. Basic Registration is mandatory. Only those with accepted Basic Registration can proceed for Generation of Code for Final Registration. You can also go through the notification here.